Implementing cross-domain iframe tracking is a pain that many analytics and digital media professionals go through at least once in their careers. The truth is, it’s ugly and should be avoided at all costs. But sometimes, for things like third party booking platforms, website owners can integrate the service to get a popup booking application on their website with one line of code. This is pretty commonplace for restaurants and hotel booking widgets. Can’t we just use Google Analytics? When an iframe form is embedded into a page, we’re actually interested in firing any tracking events to the ad and analytics networks via the parent page, as this has all of the contextual information we need in order to fire events and goals which attribute to your marketing efforts. When an iframe is embedded into a web page, it is effectively a locked down window into another separate URL — usually on a different domain. Scripts from the parent page cannot impact what happens inside the iframe for security reasons, and in Google Analytics, embedded pages typically show as direct traffic because the Client ID is not passed between the pages/sessions. Note, that you could start investigating the Google Analytics Linker plugin for iframes to pass the Client ID from parent to child, but it’s almost not worth the effort when compared with this solution! However, thankfully, the child iframe can communicate upwards to any parent frames/pages, which we can leverage to send notifications when events are completed, such as form fills, button clicks and purchases. If the child iframe page let’s the parent page (with GA running) know, then we can pass those event details straight on to your advertising platforms to register a goal completion for the recorded source/medium. firing the event from the iframe in a specific format so that it filters up to the parent page to interact with your listener. From these steps, you then have the ability to send Data Layer events to directly or indirectly trigger events in your advertising and analytics platforms. 1. 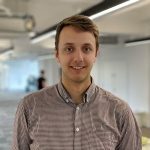 Either in a separate Tag Manager account, or by asking your iframe developers to implement code directly, insert the following code to be fired upon a successful trigger — for example, making a booking. Customise your domain name and if you want, the event payload too. As you can see in my example, we’re passing two variables; ‘event’ and ‘form’. If you or your iframe content developer want to pass messages to any domain in which it is embedded (be careful about sensitive content!) then just use an “*” asterisk symbol in quotes, rather than domain. 2. Next, set up your listener on all valid pages on your domain that you expect to receive the events from. I set this up through Tag Manager, as we roll this out to all client sites to enable tracking like this, however you can add this code to your website’s code if you would like to. I set this to trigger on every page, but if you know an iframe will only ever be present on a subset of pages, then for efficiency, it’s best to set up an appropriate trigger in Tag Manager. 3. Now, as you may be able to read, on lines 9-12 above, there is a dataLayer.push() event defined, where the event name is taken from the original iframe window’s event. This event name is now accessible inside Tag Manager as a custom event, so that you can set up your GTM tagging as you see fit. There is additional information we fire here into the Data Layer under postMessageData, but for the sake of simplicity, this is beyond the scope of this tutorial. Use this to differentiate different form names which you send between the frames as set in my example. 4. Configure a custom GTM trigger of type “custom event” which listens for your original event name. Mine was: “iframeFormSubmit”. 5. 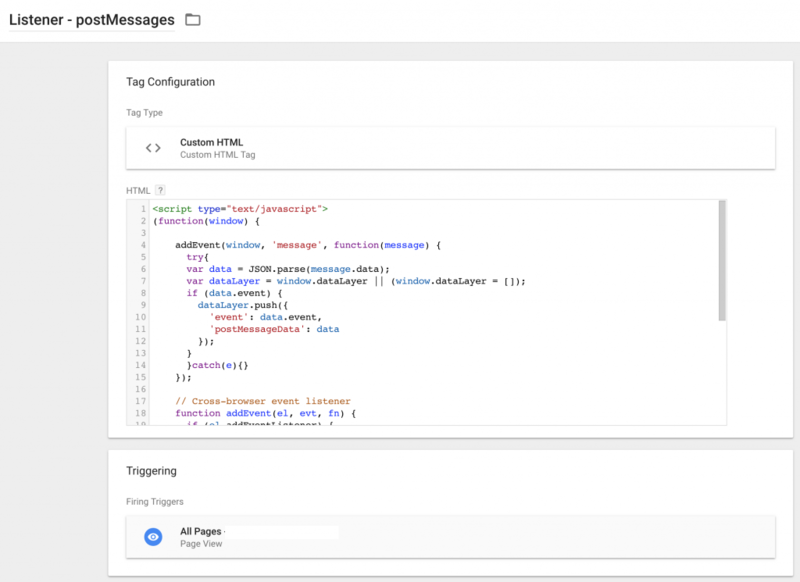 Next, set up your tag in Tag Manager and assign this new custom trigger as the tag’s trigger. At this time, it’s probably a good idea to start testing your implementation. 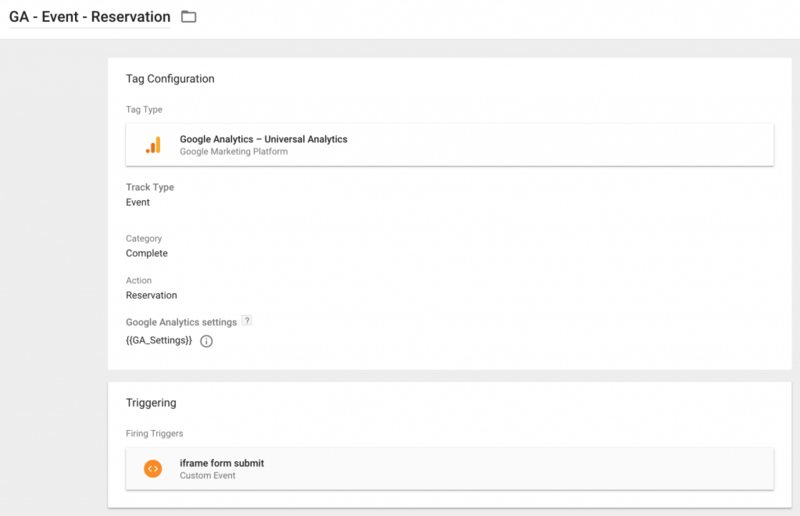 Put your Tag Manager account into preview mode and begin testing, ensuring you also have your Chrome Tag Assistant plugin recording Google Tag Manager and Google Analytics events, too. Let me know in the comments if you have any issues or suggestions for improvements.